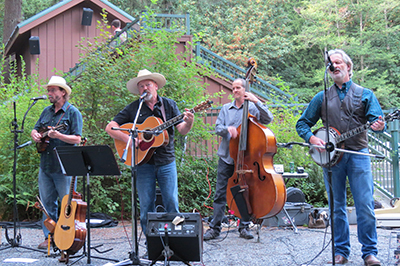 Description: Featuring great bluegrass music outdoors in the park by the Cascade Mountain Boys Bluegrass Band and purchase delicious BBQ sandwiches by HP's Smokehouse BBQ (for menu, see link below). If you prefer, please feel free to bring a picnic dinner. Food served 5:30 till 7:30 PM. Music starts at 6:30. See link to flyer below. The event is free, unless you purchase food. Discover Pass required for parking in the main parking lot.